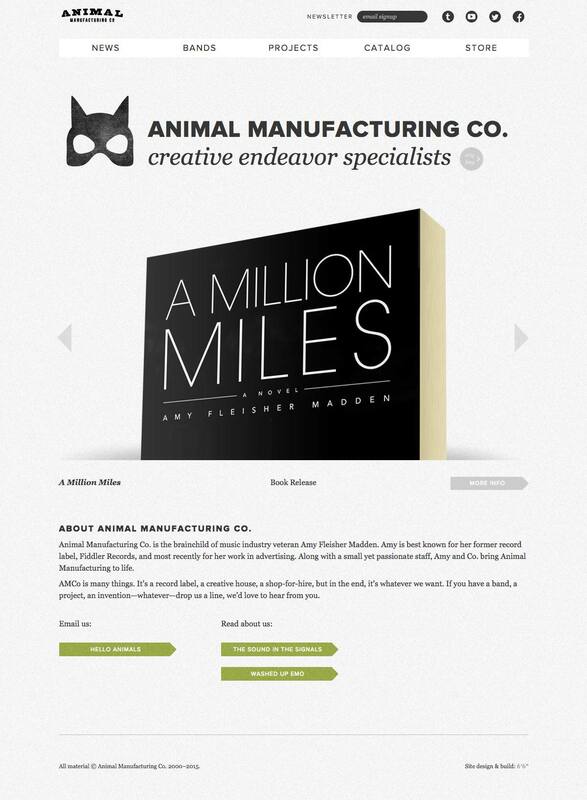 ↑ Work → Animal Manufacturing Co.
Distribution of and pathways between site content. 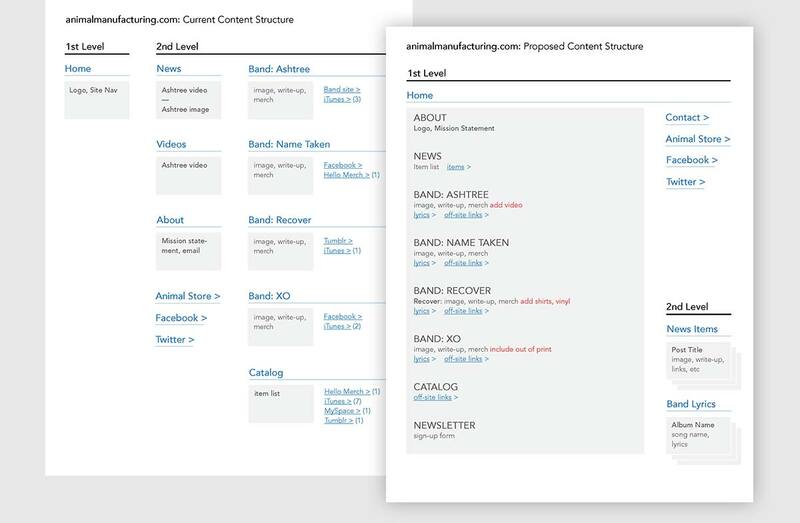 The first iteration of the new AMCo distilled all of the original content into a single-page layout, with smooth-scrolling anchor links as navigation. Nice and simple. 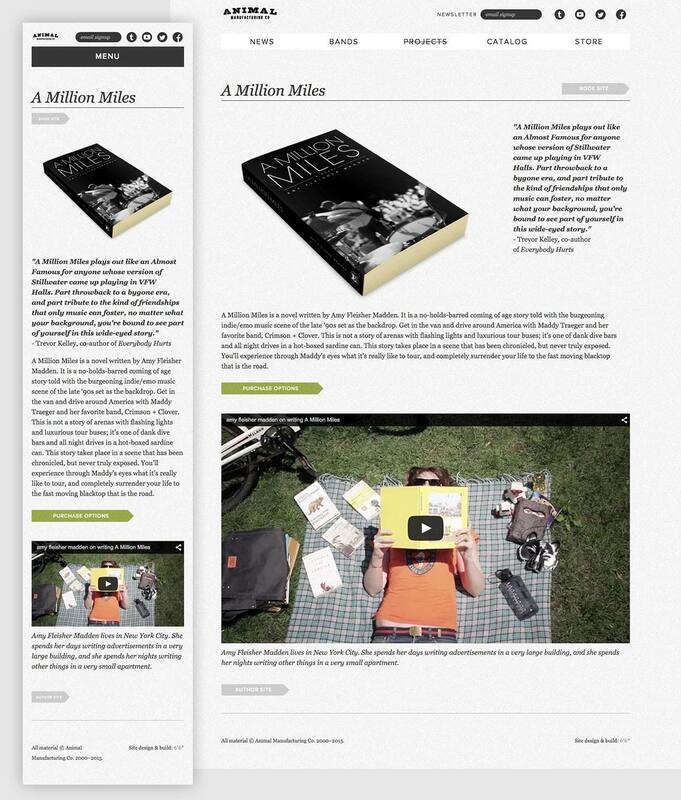 However, as more content was added this became unwieldy at smaller screen sizes. 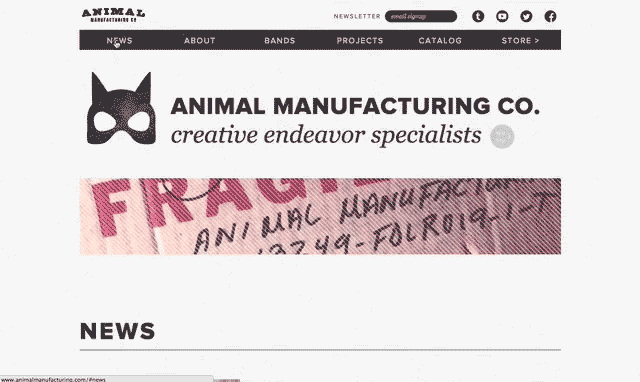 Animal 2.0 re-organized the site into its current multi-page format, which keeps page sizes under control and allows fans to link directly to their jams via unique page urls. 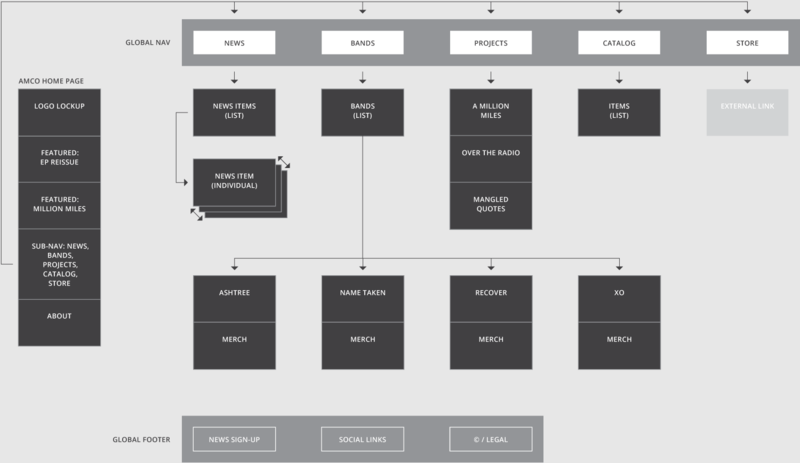 Content map detailing the reorganization of the existing Tumblr site. 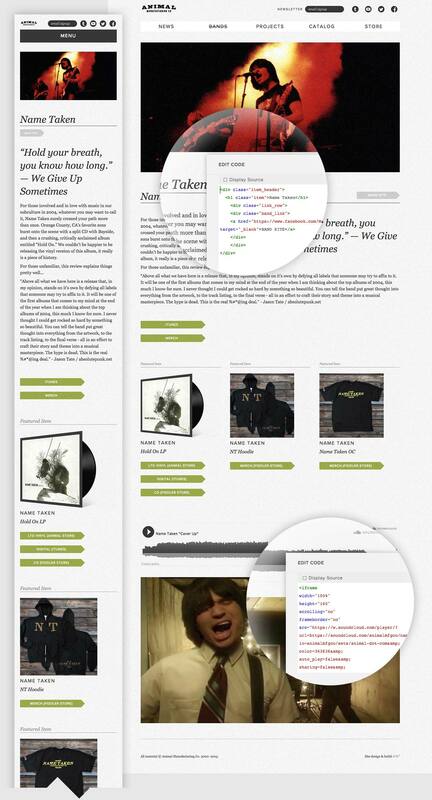 First round wire of the long-scrolling single page site.